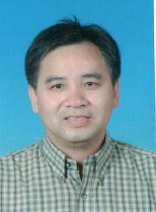 Guo-Min Deng obtained MD degree in China and Ph.D degree in Sweden. During 2001-2006, Dr. Deng worked as research fellow in Dr Lenardo’s Lab in NIAID, NIH, USA. During 2006-2014, he worked as Instructor and Assistant Professor in Harvard Medical School, Harvard University. Since September of 2012, Dr. Deng worked as distinguished professor in Nanjing Medical University, China. 2) Pathogenesis of bacterial DNA-induced inflammatory disease. 6. Shi T, Moulton VR, Lapchak PH, Deng GM, Dalle Lucca JJ, Tsokos GC. Ischemia-mediated aggregation of the actin cytoskeleton is one of the major initial events resulting in ischemia-reperfusion injury. Am J Physiol Gastrointest Liver Physiol. 2009; 296(2):G339-47. 10. Deng GM, Zheng L, Chan FK, Lenardo M. Amelioration of inflammatory arthritis by targeting the pre-ligand assembly domain of tumor necrosis factor receptors. Nat Med. 2005;11(10):1066-72. 11. Liu ZQ, Deng GM, Foster S, Tarkowski A. Staphylococcal peptidoglycans induce arthritis. Arthritis Res. 2001;3(6):375-80. 18. Zhu J, Nennesmo I, Deng GM, Levi M, Wahren B, Diab A, Mix E, Zhou JN, Ljunggren HG. Induction of experimental autoimmune neuritis in CD4-8-C57BL/6J mice. J Neuroimmunol. 1999;94(1-2):196-203. 19. Zhu J, Deng GM, Diab A, Zwingenberger K, Bakhiet M, Link H. Thalidomide prolongs experimental autoimmune neuritis in Lewis rats. Scand J Immunol. 1998;48(4):397-402. 20. Diab A, Michael L, Wahren B, Deng GM, Björk J, Hedlund G, Zhu J. Linomide suppresses acute experimental autoimmune encephalomyelitis in Lewis rats by counter-acting the imbalance of pro-inflammatory versus anti-inflammatory cytokines. J Neuroimmunol. 1998;85(2):146-54. 21. Zou LP, Zhu J, Deng GM, Levi M, Wahren B, Diab A, Hillert J, Link H. Treatment with P2 protein peptide 57-81 by nasal route is effective in Lewis rat experimental autoimmune neuritis. J Neuroimmunol. 1998;85(2):137-45. 22. Zhu J, Deng GM, Levi M, Wahren B, Diab A, van der Meide PH, Link H. Prevention of experimental autoimmune neuritis by nasal administration of P2 protein peptide 57-81. J Neuropathol Exp Neurol. 1998;57(3):291-301.